Carroll Shelby built one GT500 with a 427FE motor and called it the Super Snake. There was intent to build 50, but only one was built. 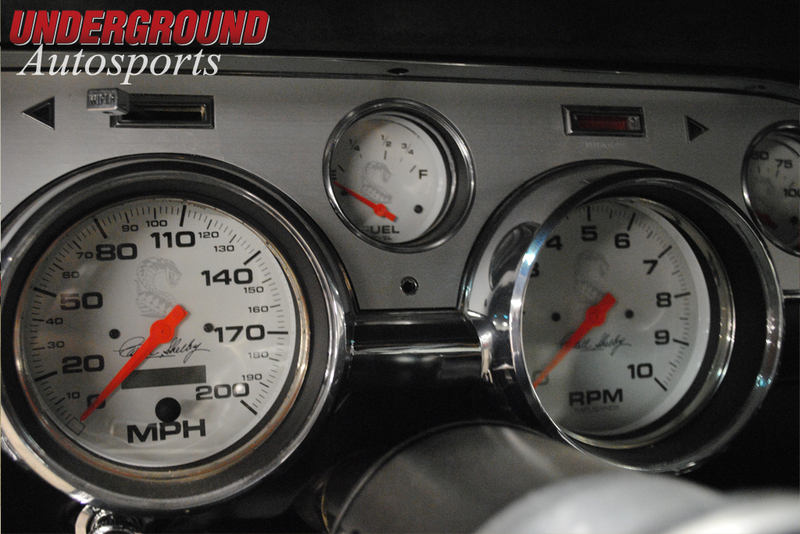 In 1967, Shelby took it to the Goodyear test track in Texas; put down lap speeds of over 150mph, and topped out at 170 – with 1967 tires and suspension! Today, that car is worth around three million dollars. Fast forward to present day. 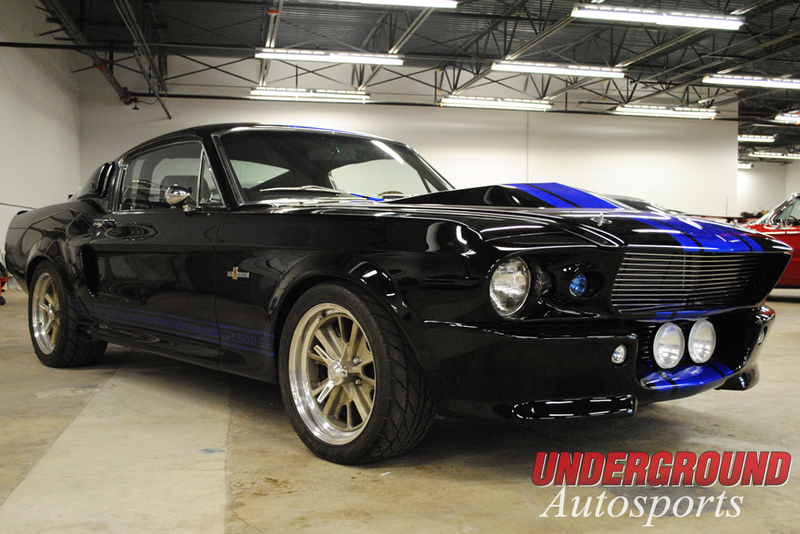 Gone in 60 Seconds was remade, and used a customized 1967 Shelby GT500. The car was hugely popular, and some ‘continuation’ GT500SE Super Snake cars were made with the usual Shelby touches: The famous rocker GT500 stripes, Shelby emblems,even Shelby gauges. 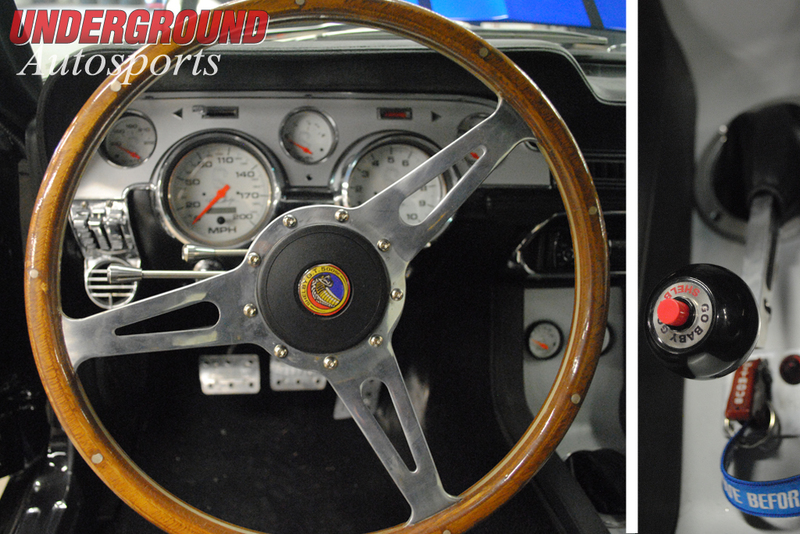 In a nod to the movie, the car has the “Go, Baby Go!” button on the shift knob. One of the best parts of a Shelby has always been the engine, and this one remembers its heritage with an aluminum 427FE engine, topped off with a Paxton supercharger. The owner of this particular car found it at an auction, picked it up for a bit less than 3 million. 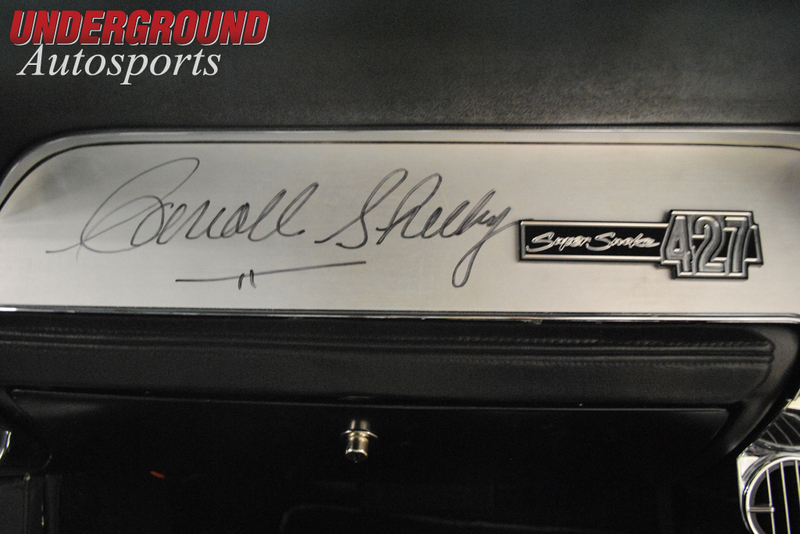 It was even signed my Mr. Shelby himself before he went to the big race track in the sky. Of course, the best place for this car was not gathering dust in a garage, but on the road. Not surprisingly, this Shelby eventually made it to the track. Unfortunately, it appears, the engine may have been over-revved, and there was some internal damage. A few lifters were broken, and valves were bent. The hopes were that it could be saved. 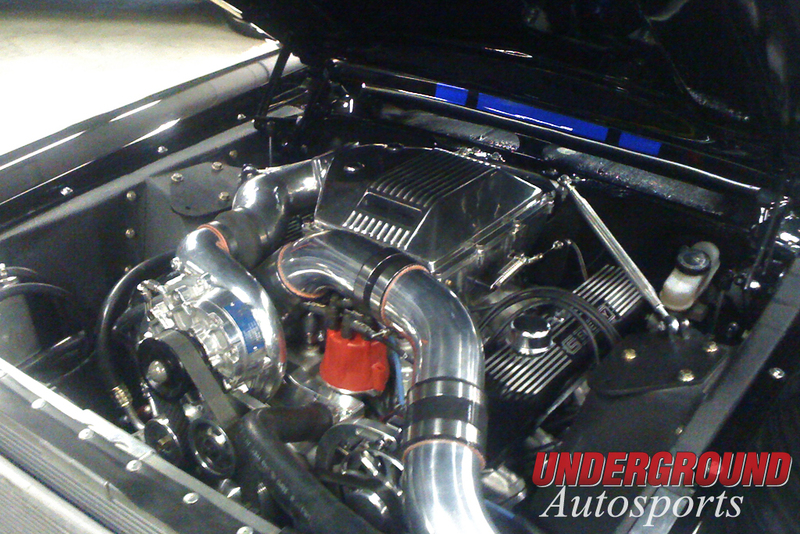 The car was brought to Underground Autosports in scenic Schaumburg, to bring the Super Snake back to life. 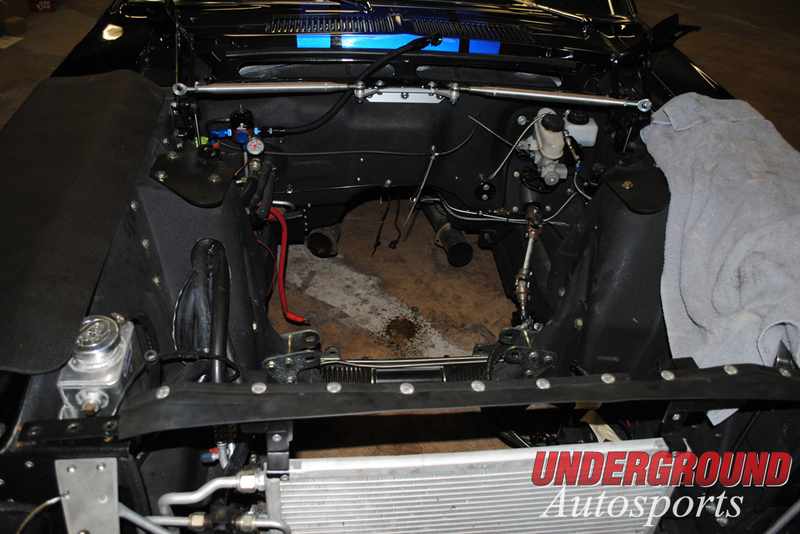 Brandon and Perry removed the engine, disassembled it,inspected the damage, and went to work. The guys performed their magic on the engine. They machined the block, replaced the damaged parts, performed some top secret touches, and the result was charming this snake to the tune of over 800hp! The car is now on the road, thanks to Brendan and Perry, and will be seeing many more miles! Carroll Shelby would be pleased. I’m sure the owner is! 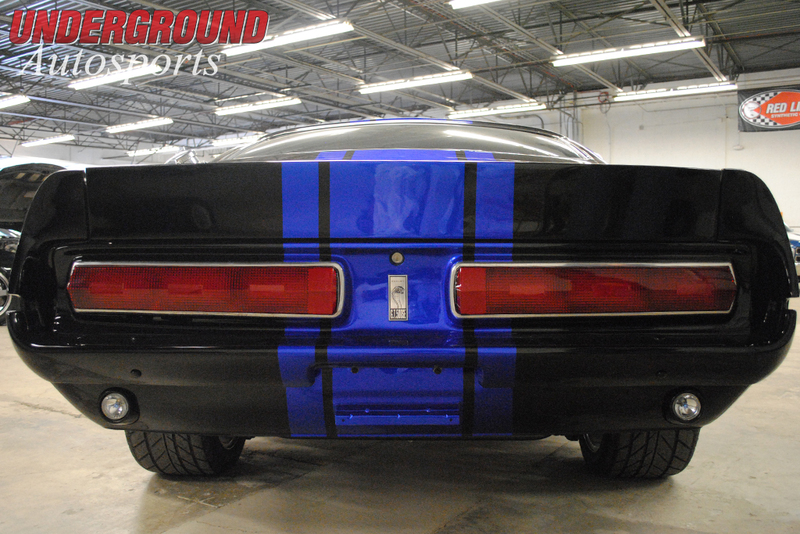 This is now the view most will see of one particular 1967 Shelby GT500SE Super Snake!